​Arsenal star Granit Xhaka has insisted that his side can still qualify for next season’s Champions League, despite the Gunners enduring a tough recent run of form. Unai Emery’s side fell to a damaging 1-0 defeat away to West Ham last time out in the Premier League, but the Gunners remain six points behind Chelsea in fourth as they prepare to host the Blues in a huge clash at the Emirates on Saturday. Granit Xhaka: Arsenal's Marmite Midfielder. 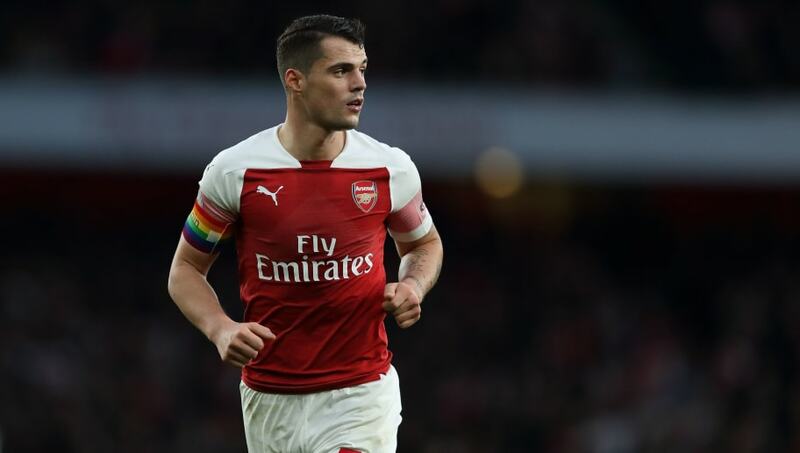 Xhaka has featured in all but one of Arsenal’s Premier League games this term, having established himself as a regular presence in the Gunners’ midfield under Unai Emery this term. The 26-year-old signed a new long-term contract at the Emirates following Emery’s appointment as head coach last summer, and Xhaka praised his side’s progress under the Spaniard. Granit Xhaka has now made more errors leading to goals in the Premier League (5) than any other outfield player since the start of last season. “I’m very pleased to see how all our hard work and extra training sessions are starting to pay off,” Xhaka added. “We’ve been making solid progress over the past few months, both as a team and as individual players which keeps our confidence levels at the club. “Knowing that we have a lot of young talent who can compete in the UEFA Europa League provides additional depth to our squad which gives us an additional advantage. Xhaka was at fault for a poor attempt at a clearing header which lead to Declan Rice’s winning goal as ​West Ham condemned Arsenal to defeat last time out, but the Swiss international is likely to start once more as the Gunners look to bounce back against ​Chelsea on Saturday.